It is estimated that anywhere from 50-70 million in the United States alone deal with some sort of sleep disorder. Insufficient sleep can quickly lead to loss of concentration, memory loss, depression, anxiety and an inability to enjoy life. While many turn to prescription sleep aids or other medical treatments to deal with the problem, others shy away from pills that are known to be habit forming. Some nutritional supplements have been known to aid in the process of falling and staying asleep, but are they truly effective in doing what they claim to do? One such supplement is Melatonin, a hormone that is currently hitting the natural health scene as a rising star. Many Americans are using melatonin to help them get to sleep and stay that way. While Melatonin has been known to help aid in the treatment of some sleep disorders, experts caution that there is no real research done to show the long term effects of relying on the supplement. Experts are concerned that the popularity of Melatonin is way ahead of controlled studies that could prove or disprove its effectiveness. Although the public reputation of Melatonin is that it is some sort of “Super Pill” for curing sleep disorders, there are no published clinical studies that demonstrate the efficacy or safety of taking Melatonin on a regular basis. Although some books and articles may claim otherwise, doctors remind consumers that there is no scientific proof that melatonin has any useful effect on cancer, AIDS, life span, heart disease, or oxidation. While the benefits of taking Melatonin may be many, experts caution against relying so heavily on something until scientific studies are completed. One expert has studied the effects Melatonin has on sleep disorders for more than ten years, and is encouraged by what he has seen, but reminds consumers that Melatonin is not regulated by the FDA. This allows companies to sell the supplement in formulations that are dangerous or even unpure, as they run no risk of regulation by the government. Melatonin is produced naturally in the body and secreted by the pineal gland, which is a gland the size of a pebble located in the brain’s center. When in darkness, the pineal gland releases this hormone to keep the body’s inner clock in sync with darkness and daytime, which in turn helps the body regulate sleep. When light hits the retinas, the pineal gland ceases production of Melatonin so the body understands that it is time to wake up. Melatonin is produced at higher levels during childhood and typically decreases as an individual ages, which may explain why it’s difficult to sleep as you get older. The hormone can also be taken to shift biological rhythms for an individual that changes shifts and must regulate sleep patterns to match a work schedule. Regardless of the effectiveness of taking the supplement, many urge consumers to wait until there is more research done before spreading the word about the so-called “Super Pill”. 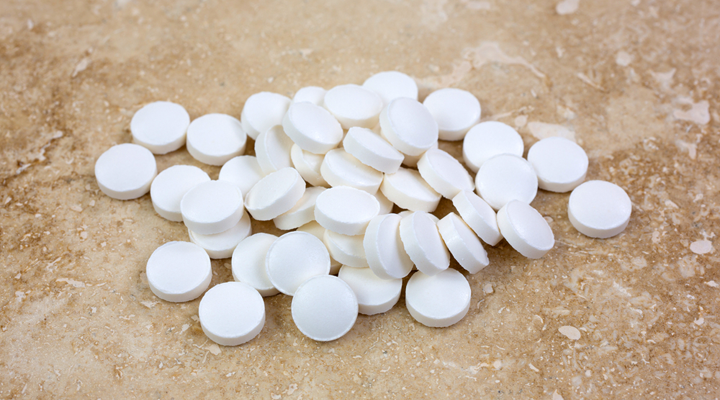 Melatonin has mostly gained popularity through word of mouth, and many share their good fortune with those they love that deal with similar sleep disorders. Experts are especially cautious about the claims that Melatonin can have some positive effect on other ailments that develop with old age. While it may work effectively in treating sleep disorders, there is no scientific evidence that it has any other positive medical effect on the body. Regardless of what scientists say, many are simply grateful there is something that helps them get a good night’s sleep. After years of dealing with too little sleep, some consumers are willing to take any risks associated with something that helps them catch those ever-elusive Zs at night.